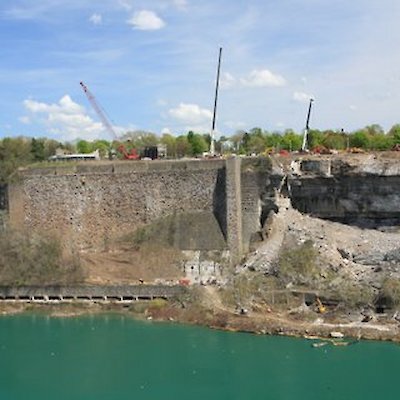 On my regular bike ride I looked this afternoon into the Niagara River just north of the Rainbow Bridge and spotted that construction for the new $32 million docking and storage facility for the Maid of the Mist in Niagara Falls N.Y.is now underway. 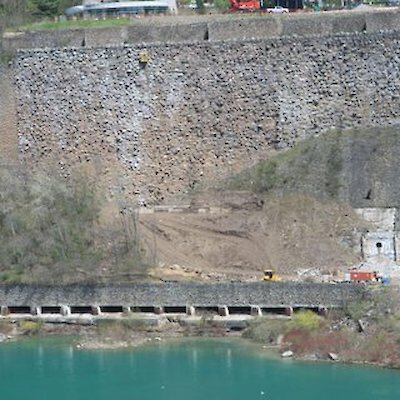 The construction is taking place at the top and at the bottom of the old Schoellkopf Electric Power Station. 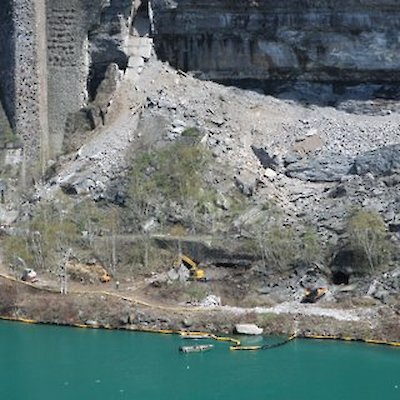 This station was put out of operation when it collapsed on June 7, 1956. The new facility is scheduled to be open in the spring of 2014. 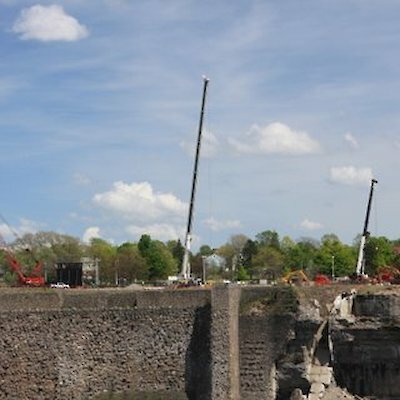 It will include a winter docking area for two boats, an elevator, enhanced access for hiking trails and a public observation deck. I’ll keep you posted with its progress by posting a few photographs every few weeks.